Together with my skillful team of healers, we feel privileged to serve and provide quality treatment to individuals and couples seeking acupuncture care. 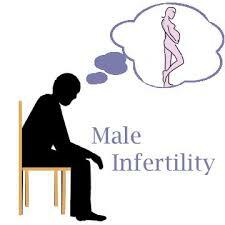 In terms of infertilty, there are cultures that unjustly assign fault to the woman for the couples’ inability to conceive; when in reality men suffer from infertility issues just as frequently as women. Between 35%-40% of infertility cases are attributed to male causes. This essentially means that almost half of the infertility cases are due to male factors. Studies confirm that male sperm counts are declining, and environmental elements such as pesticides, exogenous estrogens and heavy metals may be having a negative impact on spermatogenesis. Acupuncture, as well as specific herbal medicines, has been documented in several studies as a having a positive effect on sperm parameters. Acupuncture is a form of Chinese medicine that has been practiced for centuries. It’s based on the theory that energy, called Qi (pronounced ‘chee’), flows through and around your body along pathways called meridians. Acupuncturists believe that illness occurs when something blocks or unbalance your Qi. Acupuncture is a way to unblock or facilitate Qi and help it flow back into harmony. Male Factor Infertility can result from abnormalities in sperm production. Those who are disadvantaged from reduced sperm count, or lack of sperm production can benefit from Acupuncture treatment. Motility (how they swim), morphology (how they look) and amount (how many) are also effectively treated by means of Chinese Medicine, and proper supplementation. With consistent acupuncture treatment, and by remedying the underlying causes and imbalances, one can improve both their systemic environment and overall reproductive health. Acupuncture may improve sperm count, motility and morphology after only a few months.